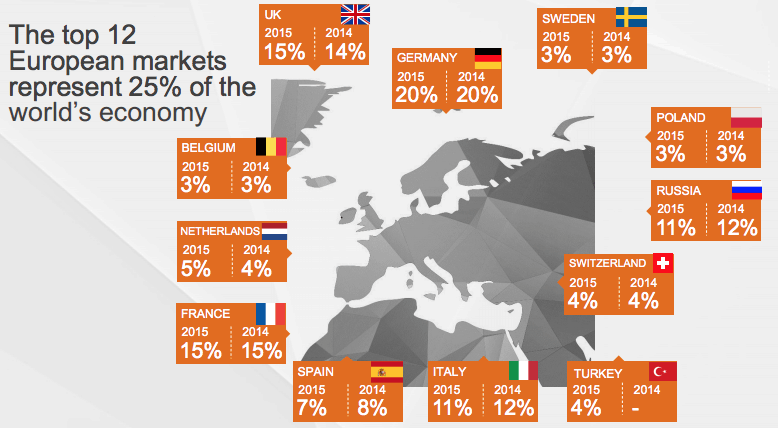 Universum have released a list of Europe’s Most Attractive Employers of 2015 as part of the Universum Talent Surveys series, that involved University students across Europe’s 12 largest economies during September 2014 to Feb 2015. The study looking into Europe’s top employers involved over 168,000 business and engineering/IT students, who shared their thoughts on what companies and employer characteristics they found the most attractive. It won’t come as much of a surprise, but Google, known for their fun, lively company culture and innovative way of working, took first position in the ranking for top business employers, followed by beauty brand L’Oreal Group. 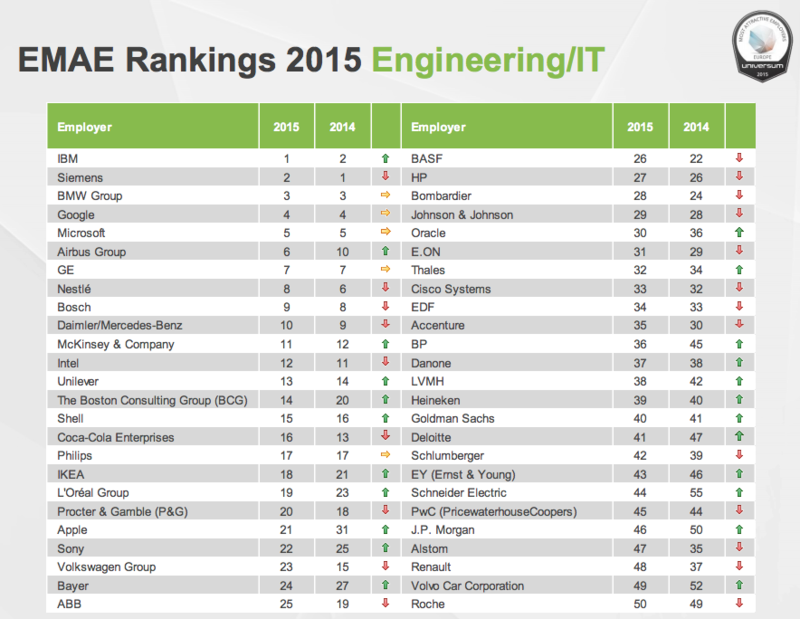 In the ranking for engineering & IT, it was the tech giant IBM who came in first position, shortly followed by Siemens. Professional services is one of the most attractive industries for European students – 5 out of the top 10 companies are from this industry. European Business students are mainly Internationalists. Professional training and development is the top attribute for Business students in Europe. Work/life balance is the top career goal amongst European business students and Turkish Business students strive to become a leader. Technology and hardware companies are losing attractiveness among Engineering/IT students in Europe. European Engineering/IT Students are mainly Internationalists. Innovation is the most attractive attribute for Engineering/IT students. German Engineering/IT students are more attracted to a competitive base salary, while Turkish students are looking for training and a clear path for advancement. 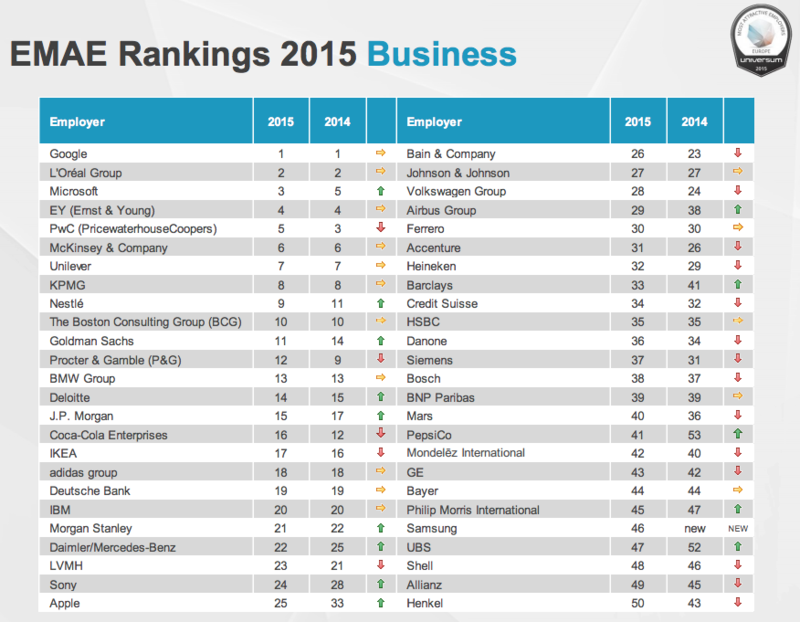 What are the most attractive employer attributes for students in Europe? When asked about what their top career goals are, the students studying both business and engineering/IT said that they would like to have a good work/life balance, job security, the opportunity to progress to a leadership role and to feel intellectually challenged in their job. The engineering/IT students also added that they strive to be entrepreneurial or innovative at work. Some attributes that students in both business and engineering/IT look for in a potential employer are the opportunity for professional training and development, a creative and dynamic work environment and a good reference for their future career. Those studying business also added that they look for a good salary and supportive leaders, whereas engineering/IT students would like a friendly work environment and innovation. So where are some companies going wrong? When asked what the downfalls were and why certain potential employers weren’t considered attractive, respondents suggested that they need more graduate outreach, they give off the impression of a stressful work environment and they would like to see more women employed in leadership positions within the company.